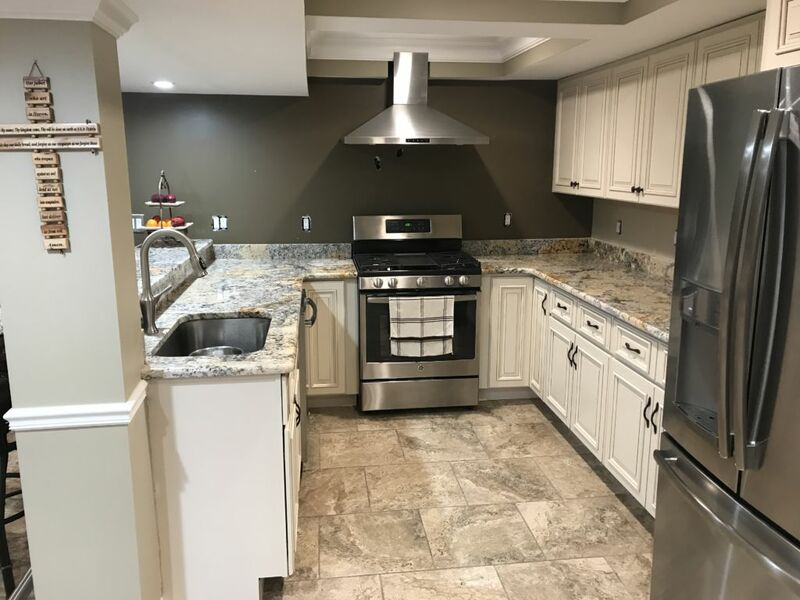 Delicates cream granite counter top for the basement kitchen, very nice contrast with the off-white cabinets, And with the stainless steel appliances. for one of our professional builder. You get amazing results when dealing with the professionals.